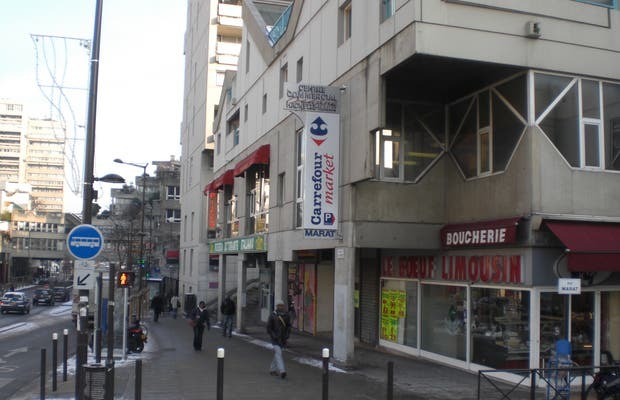 The mall is Marat Hachette off the 7 train "Mairie d'Ivry". This center was built 30 years ago, and because it is outside the city, it is quite ugly. It has a Carrrefour and several home stores, as well as African and Chinese shops which are cheap and more original. There are a couple of restaurants inside, and a French steakhouse downstairs. Since it is easily accessible via the underground, it is a good place to shop if you want to avoid the center of Paris. People appreciate the Paris Ivry because it doesn't fill up like the other malls. Two other centers are next to it, Quai de Seine and Bercy 2.